Sew Wonderful Scrap N Crafts: Happy Mother's Day!!! Happy Mother's Day to all the mom's who work so hard each and every day to love and support their children through a lifetime! Today is our day! 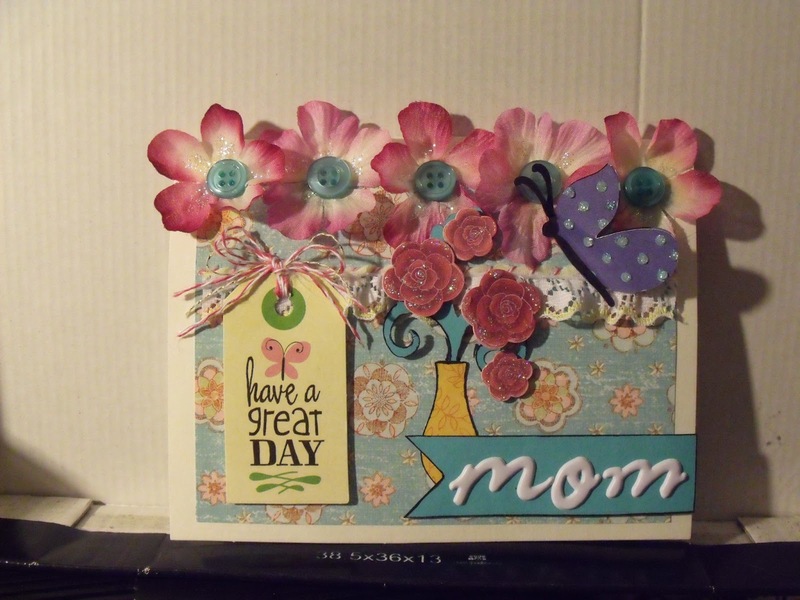 For Mother's Day I decided to create a mixed media card. I really love using flowers and buttons and just about anything crafty I can get my hands onto! So this was no exception! I started with a standard card made with regular card stock in an almond color. I wanted a softer effect rather than using plain white. Then finding a lovely floral printed paper I cut out a nice piece that was about 1/4 inch smaller along the edges to create a reverse frame and creating the background to my card. I next picked out a nice piece of white lace with a pale yellow trim along the edges and cut it to the desired length and I sewed it down to the card across the top edge of the lace using baker's twine in white/pink but only using 2 of the 4 strands. (I divided the cut piece of twine in two) This made it much easier to sew with rather than all 4 strands. I picked out a nice tag I had in my box of misc. supplies and tied a nice bow through the top hole using leftover bits of pink/white and almond/gold baker's twine. A very pretty look and glued it down over the lace. To keep the tag raised at the bottom I used some foam tape under it. At this point I really wanted to use some pretty silk flowers that I took off some floral crafting stems. I glued those down along the top using a clear liquid glue that dries fairly quickly and can't be seen once dry. In the centers of the flowers I glued down some pretty aqua buttons to match the background color. I wanted a butterfly to add to my card so I found two cut out butterflies that were the same in my box of cut outs and stuck them together along the body of the butterfly so that I could spread their wings apart on the card. I glued it down only at the bottom body part so those wings would stand out. I cut out a vase in contrasting color, cut a stem in teal, and glued them down. The roses were leftovers in my misc. box and I used foam tape to stick them onto the curly stem in the vase so they would create some more dimension and lift above the lace below them. I wanted to personalize the card to "mom" so I used white puffy letters from "Thickers" and put them on a ribbon banner cut from the teal paper which was outlined in black ink. To give it a little kick I painted on some glitter glue from Close To My Heart on the roses, some on the inside edges of the silk flowers and gave the butterfly some sparkly dots on his wings! This finished the card off nicely! I hope you like my Mother's Day card and that my instructions were helpful. 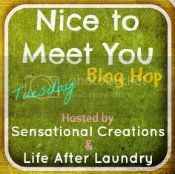 If you have any comments or questions please drop me a note here in my comments section. I'd love to hear from you!